Capital raising is a method whereby a company raises funds through means of equity and debt. The objectives of raising capital can be to inject it back into the business for further growth, paying the shareholders, and so on. The amount of capital to be raised is then decided accordingly. All businesses ranging from startups to large enterprises are capable of raising capital through different means. Before getting into how Blockchain can enable capital raising, let us first cover the Traditional Methods of Capital Raising and its limitations which can be tackled by blockchain technology. We’ll also be looking at the basics of Blockchain, it’s applications and the current scene in the market. Initial Public Offering is the very first sale of stock issued by a company to the public. Prior to an IPO, the company is considered private, with a relatively small number of shareholders made up primarily of early investors (founders) and professional investors (such as venture capitalists or angel investors). When a private company goes public, it faces a loss of control and changes in its organizational structure. These are generally made for a period of 1 year and have higher interests than Long-Term loans. These are generally made for a period of 5 to 10 years. A bond is typically a loan that is secured by a specific physical asset. A debenture is secured only by the issuer’s promise to pay the interest and loan principal. All these methods require a credit history record of the borrower which might be a problem for new start-ups or people with no previous credit history. Blockchain is a distributed ledger technology (DLT) which can be either public or private. It is decentralized and all the information is digitized thus eliminating the need for manual documentation. This saves on labour costs as well as material cost. In other words, blockchain is a chain of blocks in which information is stored within each block chronologically. Furthermore, the records are updated near real-time and immutable. To be more specific, this DLT is append-only ledger and remains unchanged over time. Changes to the existing block are created as a new block instead and linked to the old block. The reason for this is that the blocks are cryptographically sealed in the chain thus creating True Digital Ownership due to the qualities of it being irreversible and auditable. Auditability is possible by all parties with access to the system due to the transparency of records. Blockchain operates on a consensus mechanism (i.e. a protocol ensuring all nodes are synchronized with each other and transactions are approved as legitimate). These consensus mechanisms are essential for Blockchain to operate smoothly. CPU Mining — Using a normal computer’s CPU to validate transactions in a proof of work consensus protocol. GPU Mining — This is not dissimilar to CPU mining, however, in this case, a graphics card is used. Graphics cards are more powerful whilst relatively using less electricity. Cloud Mining — Some miners rent out their processing power to other miners for an allotted period of time. This concept uses a process known as Mining and the nodes are known as Miners. Mining requires massive computational power and in order to create a block, they will have to solve complex mathematical puzzles. However, the drawback of this consensus mechanism is the massive resources it requires. To the graph available at digiconomist.net, estimates the amount of energy Bitcoin has consumed over the past 2 years. Digiconomist estimates that just over the last year, Bitcoin consumed roughly 73.12 TWh, with an estimated cost of US$3,656,073,069. This figure is constantly updating and available under the label Bitcoin Energy Consumption Index. Those with most tokens have the highest chance to produce the block. The validator receives the reward of transaction fees for each transaction made on their block. There are two main ways to raise capital through blockchain. ICO is a fundraising mechanism through which investors are offered some units of a new cryptocurrency or crypto-token in exchange against cryptocurrencies like Bitcoin or Ethereum. There is a difference between cryptocurrency and token. A cryptocurrency coin, like Bitcoin, Bitcoin Cash, Ethereum etc. is independent of a platform. They can be used as a form of currency outside their native environment. Crypto-tokens are special kind of virtual currency tokens that reside on their own blockchains and represent an asset or utility. Initial Coin Offering is similar to the IPO mentioned above in the Traditional Capital Raising Methods. Step 5: Trading on Exchanges. Here’s an example of a successful ICO deal in the energy sector in February 2018. WePower, a blockchain-based green energy trading platform, raised US$40 million during its ICO. WePower platform connects energy buyers to the green energy producers and allows for purchasing energy upfront at below the market prices. It uses energy tokenization to simplify, standardize and globalize the current existing energy investment ecosystem. WePower token model (WPR) was a reward based crowdfunding campaign where contributors will receive WPR tokens in return for their donations. This example of WePower demonstrates how it created its own crypto-token, WPR and valued it to be 1 ETH worth 4,600 WPR (until soft cap) tokenized energy through its platform. One energy token will represent 1 kWh of green energy that would be generated at a certain time in the future. Created value for renewable energy providers as they can pre-sell their production in the global market and gain the required capital to increase the project profitability. The drawback of the ICO is that investors receive tokens that are essentially useless until the project makes good on what it has promised. With 2017’s dramatic crypto price boom, there was a corresponding boom in ICOs. The fund raised in ICO significantly increased in 2017. All companies had to do was, present a whitepaper containing their business plan, and crypto-investors or speculators invested based on this. Their business could be completely fictitious too as with most ICO scams but due to lack of regulation, investors had to do their own due-diligence and were not protected. Below is a figure on the total funds raised from January 2016 to November 2017. An incredibly thorough research document of Bloomberg, published in July 2018, reports that around 78 per cent of ICOs were identified scams prior to trading. The report further highlights that 70 per cent of ICO funding (by US$ volume) to that date went to higher quality projects, although over 80 per cent of projects (by the number of shares) were identified as scams. The ICO market is facing a decline due to large amounts of scam. There are a few cases of proper ICO’s between the fourth quarter in 2017 and the second quarter in 2018, five companies raised more than US$200 million dollars in an ICO. These include 1) EOS, 2) Telegram, 3) TaTaTu, 4) Dragon, and 5) Huobi. It is important to note here that these projects were all high-profile. EOS’s ICO lasted for nearly a full year and Telegrams ICO was only for accredited investors. So, these high-profile projects are considered as outliers and here’s a graph created by LongHash to reflect on the actual situation of ICO’s after removing the outliers. To conclude this section about ICO’s, the ICO trend is decreasing as seen in the figure above. Due to the lack of proper regulations, it has been banned in a few countries like China, Morocco, Bangladesh and is highly regulated in other countries. Many governments are changing their regulations on ICO’s to protect the ordinary investor. There are other safer and more accepted ways to raise capital in 2019 such as the security token offerings. Earlier we talked about the difference between cryptocurrency and tokens. There are two types of tokens as defined by the US SEC and FINMA. Firstly, Utility tokens derive their value by providing a product or service to the user which gives them the right to use the network. The primary intent for ownership of utility tokens is usage and not profit. 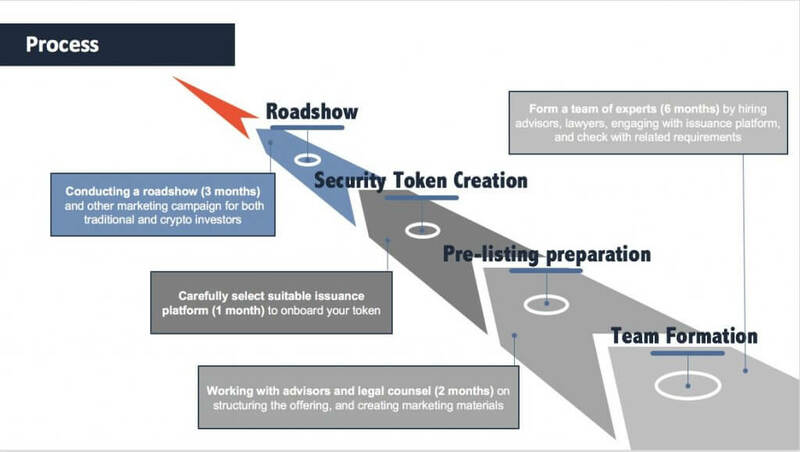 Security tokens derive their value from an external, tradable asset and are subject to federal regulations. However, STOs can be structured under a few ‘exemptions’ from registration offered by the US Securities Act. Regulation D is a Securities and Exchange Commission (SEC) regulation governing private placement exemptions. It allows smaller companies to raise capital through the sale of equity or debt securities without having to register their securities with the SEC. Regulation A is an exemption from registration requirements — instituted by the Securities Act — that apply to public offerings of securities that do not exceed US$5 million in any one-year period. Companies utilizing the Regulation A exemption must still file offering statements with the Securities and Exchange Commission (SEC). However, the companies utilizing the exemption are given distinct advantages over companies that must fully register. The issuer of a Regulation A offering must give buyers documentation with the issue, similar to the prospectus of a registered offering. This regulation implies that STO’s must “lock” tokens for a year before trading can commence. According to the Node Blockchains Inc. study, STOs hold a better potential for fundraising, as the tokens investors receive actually represent stakes in the company and its assets. STO is distinctly different from ICOs, which were ‘Utility Tokens’ or digital tokens that provided access to a project’s future product/service but no representative ownership claims to an asset or equity. They’re backed by assets, profits, or cash flows, and thus have an intrinsic value. STOs are fully compliant with regulatory frameworks, allowing investors from all over the world to participate without violating respective securities laws. They allow companies to create whitelists and blacklists, which make it easier to comply with know-your-customer (KYC) and anti-money-laundering (AML) reporting requirements. Security Tokens are constructed on existing protocols with Ethereum being the most popular in the space currently. However, more protocols are entering the space. They are programming languages set by the blockchain protocol. Ideally, they are supposed to have a utility and therefore a value which is why they are named utility tokens. Issuance platforms enable issuers to tokenize and issue their assets, making them available for sale. These platforms offer tokenization features for a wide range of assets including real estate, debt, equity, and art. These are responsible for having compliant, regulated smart contracts for the token issuance. Also Read: Is Echelon Roadshow 2019 Manila the startup scene’s own ‘Thrilla in Manila’? They enable traders to buy and sell security tokens. These platforms can service both primary and secondary markets. These offer services for security token issuers to stay consistent with current regulations. 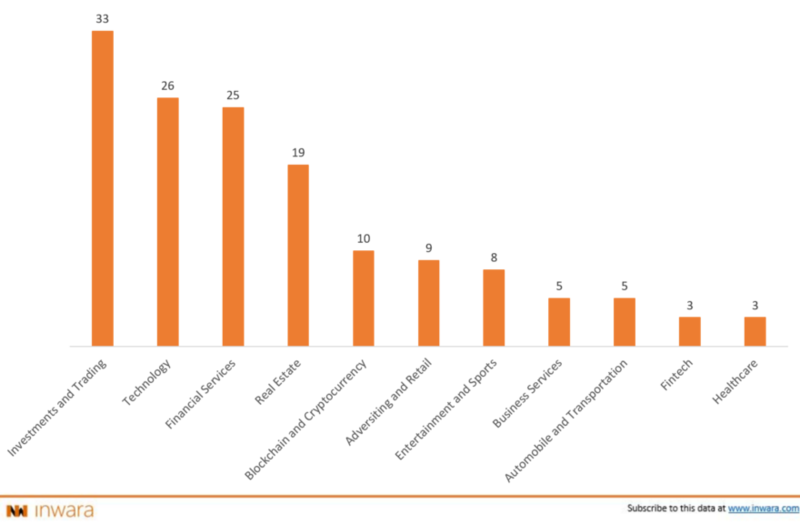 These include investor verification, know-your-customer rules, cap-table management, and fraud management. Also follow the core regulations mentioned above — Reg D, Reg A+, and Reg S.
MintHealth, a crypto health solution. About the company: MintHealth is a global, decentralized health platform that aligns healthcare stakeholders around the shared goal of patient empowerment and improved clinical outcomes, at lower costs. In March 2018, MintHealth announced its funding strategy of issuing both a security and a utility token. MintHealth Vidamints™ (VIDA) will operate as the rewards and incentive system on the MintHealth platform where Patients will earn VIDA as a reward for completing healthy activities. This utility token will not be used for raising capital. The MintHealth Security Token (MHST) will be the first security token issued in healthcare representing equity ownership for token owners and will be configured using the Polymath platform. The legal and compliance will be embedded into the token itself using Polymath’s Security Token Standard Protocol, ST-20. For secondary market trading, MHST will be listed on OpenFinance Network (OFN), a trading platform for tokenized securities. i) a 10 per cent royalty percentage of revenues generated through the sale of VIDA by MintHealth. ii) equity ownership in MintHealth. 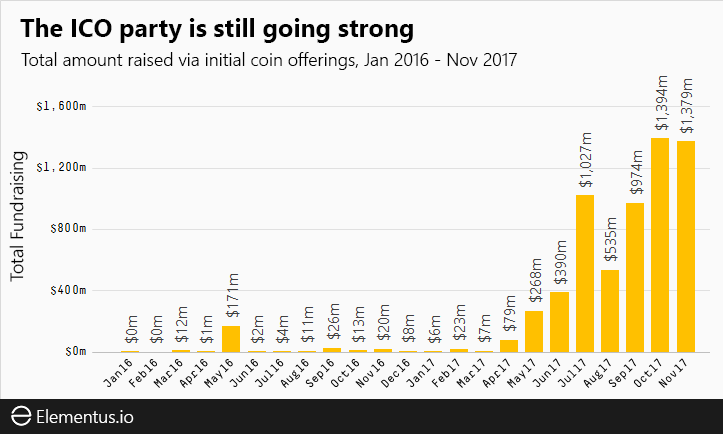 Raising capital through ICOs was popular in 2017 and peaked in early 2018 but as with any successful market, many new parties wanted to get involved and taste the success for themselves. This welcomed many new ICO projects along with scams and soon the SEC and governments of involved countries started to take notice. The role of the government is to protect financial investors, who were being trapped in ICO scams due to being unable to verify whether the project is legitimate or not. The reasons for the shutdown on ICO can be summed up as lack of investor legal protections, scam risks, technology risks (hackers, exchange shutdowns), lack of investor rights, liquidity risks and market manipulation risks. We are now experiencing the dawn of a new era for funding blockchain startups via a more stable, regulated vehicle known as the Security Token. Security Tokens are more reliable as their real value is in blockchain-based digital securities. STOs will be legal and regulated for people to invest in them with a genuine expectation of returns. Returns that aren’t influenced by the Bitcoin’s market price, but instead rely on the positive cash flow of a business, thus creating a healthy digital economic ecosystem. BlackBox Labs is an open innovation lab that enables enterprise commercial models powered by technology — with the ultimate goal of assembling a unified trade economy. We educate, consult and provide development services to support public and private organizations, corporates, investors and startups in their quest to invent, apply and disrupt new business models.